The intensity of attacks of the combined Russian-separatist forces declined considerably on June 17, however, ten attacks have been reported near Maryinka in Donetsk region over the past 24 hours, the press center of the Anti-Terrorist Operation (ATO) Headquarters wrote on Facebook. The Russian gangs opened fire 30 times over the past day, of which 22 attacks were carried out in the Mariupol sector and eight attacks were reported in the Donetsk sector. At this, the number of enemy attacks from 06:00 p.m. till midnight increased significantly. In the Mariupol sector, the illegal armed groups attacked the ATO positions near Maryinka ten times using small arms, heavy machine guns and grenade launchers. "Militants opened fire from mortars on ATO forces near Pavlopil, Bohdanivka and Talakivka. 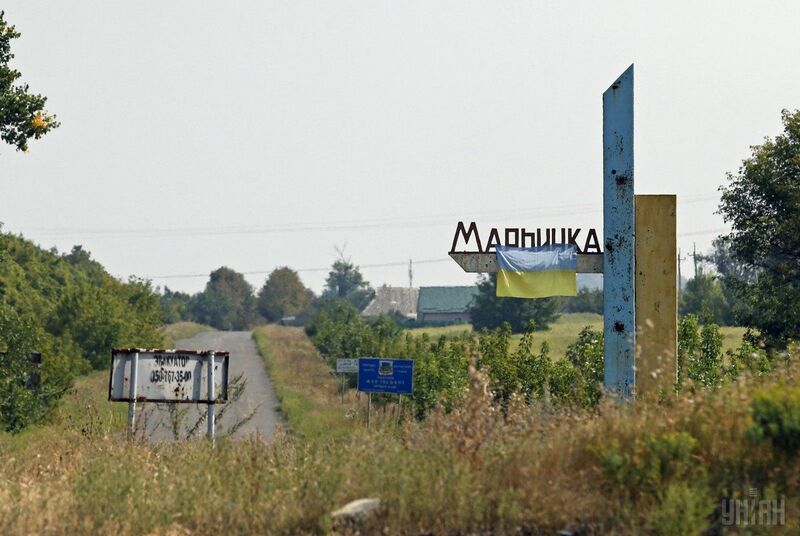 While ATO forces near Starohnativka, Vodiane and Novotroitske were attacked from heavy machine guns, automatic grenade launchers and infantry fighting vehicles," the statement reads. In the Donetsk sector, militants attacked Ukrainian positions near Avdiyivka and Butovka mine using heavy machine guns and grenade launchers. Later Russian proxies also fired mortars. In addition, small arms and rocket-propelled grenades were used to attack Ukrainian positions near Troitske and Luhanske. The situation in the Luhansk sector was relatively calm over the past day. It is noted that in some cases, Ukrainian soldiers were forced to open fire in response.